Top 6 Trending Ab Workout Videos on Youtube.com! 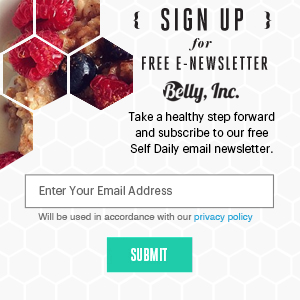 - Belly, Inc.
Homepage » Fitness » Top 6 Trending Ab Workout Videos on Youtube.com! Top 6 Trending Ab Workout Videos on Youtube.com! Bros, you’re welcome. We’ve got you covered. Here are our ‘Top 6 Trending Ab Workout Videos on Youtube.com’ …if you can “stomach” them (no pun intended. Actually, it was intended. I found it pretty funny. It was a terrible joke…). These incredible ab-workout videos featured on Youtube deliver fierce, fat-blasting abdominal exercises. Humanoids from around the globe have watched, approved, and followed these exercises in their millions! Sit back and workout with some of the world’s most famous personal trainers on Youtube.com (no… Yoda is not among them) right from your own living room! No-equipment workouts which basically means you can work on your abs from almost anywhere. The videos are all about core-focused cardio which target multiple muscle groups to get you on your way to building your dream six pack abs. It doesn’t matter whether you are new or experienced, these workouts are great for all skill levels. Learn how to shed fat and tone the entire body as you develop a stronger core and ripped definition. Word of warning, before you even attempt to do any exercises, it’s important that you first consider taking part in some stretches and warm-up sessions to loosen tight muscles, reduce risk of injury and encourage flexibility to maintain a range of motions in the joints. Getting abs is not a ‘rocket science’. We just wanted to stress to everyone that getting abs is not a complicated process but the media have done well by overloading health conscious consumers with relevant information which tends to lead to quite a bit of confusion. If you’re one of those people, read on as we break down the process of getting your dream six pack abs. The concept is simple and the process is generally broken-up into three stages. Simple fact, you gain weight by consuming more calories than you can burn off. It’s simple science. We combat this issue by increasing our daily physical activities. This helps burn off unwanted calories. A diet plan is also put in place to helps educate individuals about their daily calorie intake whilst still catering to curial nutritional requirements. We’ve discussed how increasing our daily physical activity can help everyone lose weight but now, we must also understand how abs are formed. It may be surprising to many but we all have “abs”. Unfortunately for most people, they’re not visible because they’re covered by a layer of fat. The purpose of exercising is to reduce this layer of fat around the stomach so that the abdominal muscles become more visible. The idea behind building muscle is to gain further definition, this definition is considered to be the classic iconic look of “six pack” abs. This is achieved by doing additional exercises which target the abdominal muscles. There are a range of exercises to help you do this, hence why we’ve put together a selection of theme currently trending on Youtube. Diet plans vary from person to person and to avoid any risk to your health, consult your doctor before seeing any personal trainer. Hope you folks have enjoyed this article. If there are additional ab workout videos that you feel we have missed or need to include, leave a comment and we’ll take a look. Featured image source: public domain.